Regions Emerging Talent Programs are career development programs designed for those with high levels of motivation and strong leadership skills. You’ll learn directly from experts and senior leaders, fostering you on the path to a satisfying and rewarding career. The different programs provide invaluable guidance and perspective from Regions' business leaders, which will play a vital role in your career development. The Finance Development Program (FDP), allows high performing college graduates to progress through four 6-month rotational assignments within the Finance & Accounting organization. 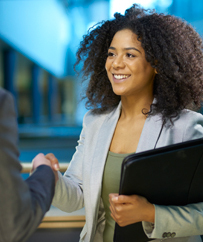 As an entry level member of the Debt Products Organization (DPO) at Regions, the Shared Services Analyst assesses the potential risks of existing and proposed transactions. Regions Corporate Bank Analyst Program offers recent college graduates a career-launching opportunity to work for Regions Corporate Bank, which serves our clients with a comprehensive suite of investment banking, corporate finance, and capital markets capabilities. The Human Resources Development Program is an entry level rotational program into the HR field. This associate will rotate for two years throughout multiple functional areas of HR and build fundamental skills that will foster long-term success. The rotations will be located in Birmingham, AL. At Regions the Audit Development Program Auditor will participate in a variety of business activities designed to refine technical knowledge, foster teamwork, encourage networking, and demonstrate Regions’ values. Regions Institutional Trust takes a consultative approach to providing comprehensive solutions to meet the various asset management and administrative needs for our institutional clients. We serve corporations, nonprofit organizations, public funds, unions, and more. First round interviews will take place either on campus or over the phone. We will discuss the Programs tracks, your area of interest and potential geographic locations, as well as assess your skill set and fit for the program. Interviews will take place with hiring managers and HR partners for a particular business group. They will assess your skillset, leadership capabilities and fit for their team.